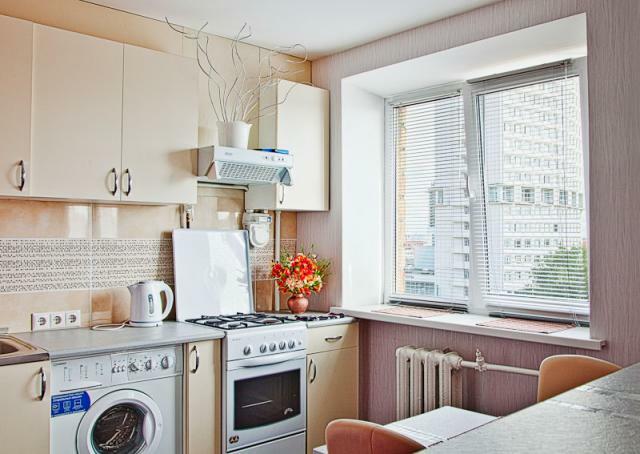 We offer you several nice and cozy apartments near Frunzenskaya subway. The area is really safe and has good transportation connections. 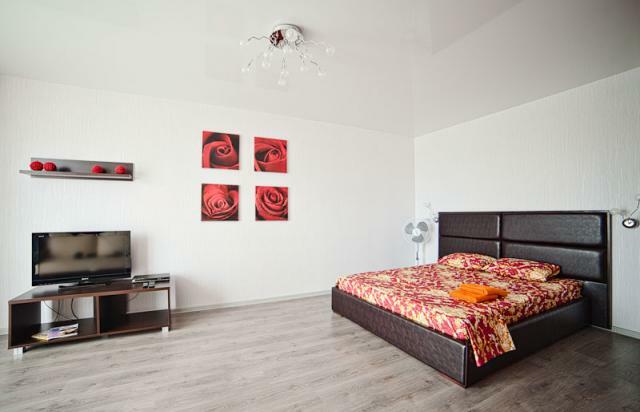 This studio apartment in Minsk is located near city center and is not far from the best and biggest supermarket "Korona". From here you can walk to the "Madison" and "Africa" nightclubs. Snack houses, restaurants, bars, pubs are within 5-10 minutes on foot. 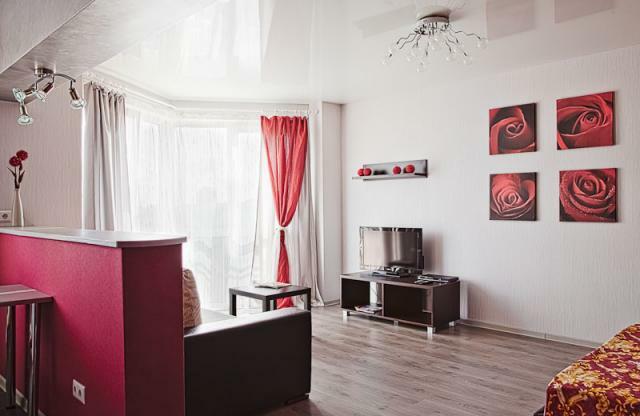 The apartment has all modern conveniences: Internet, Wi-Fi, washing machine, microwave oven, Plasma TV. 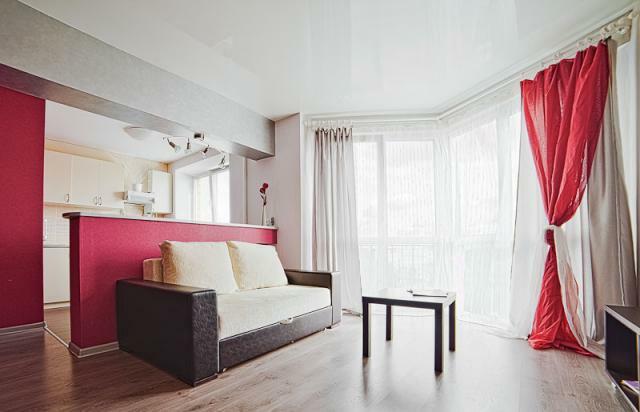 There is a large bed and a sofa for your guests in the flat, well-equipped kitchen and bathroom. 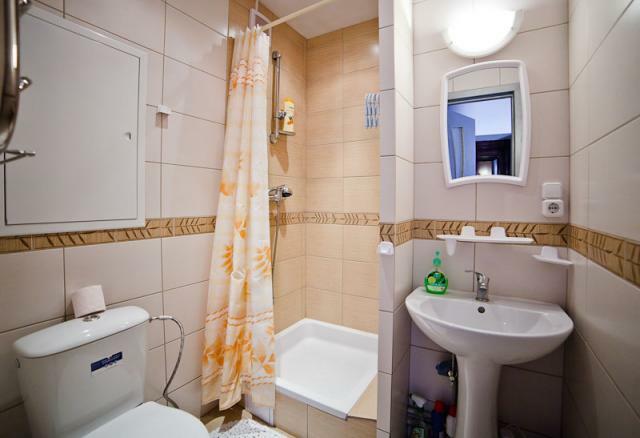 This Minsk studio apartment is nicely decorated, spacious and has good price.